Horizon has created a unique, patented miniature fuel cell car and hydrogen refueling station. For the first time, hydrogen is produced externally, can be fueled into an on-board storage tank. Once the car's hydrogen tank is full, the refueling station can be disconnected from the car, and the car can run on its own hydrogen fuel cell system on board, with the simple flip of a switch. 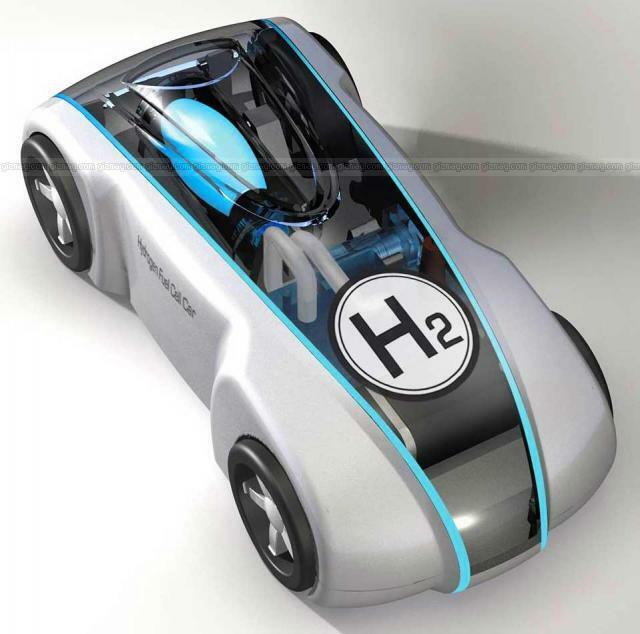 The car measures only 16cm X 7cm, making this the smallest fuel cell car in the world. Recently nominated for the Intel Environment award in Silicon Valley's Tech Museum, Horizon's miniature car is about to spread a positive message to a wide audience of children and adults around the world. Hey are you kidding? Fuel Cell car sold only US$80??!! Yes, no kidding man. This Toy FC car is already sold online we can order it now. Horizon Fuel Cell Technologies Pte Ltd.